We offer cargo transportation services in European countries under long-term cooperation agreements. 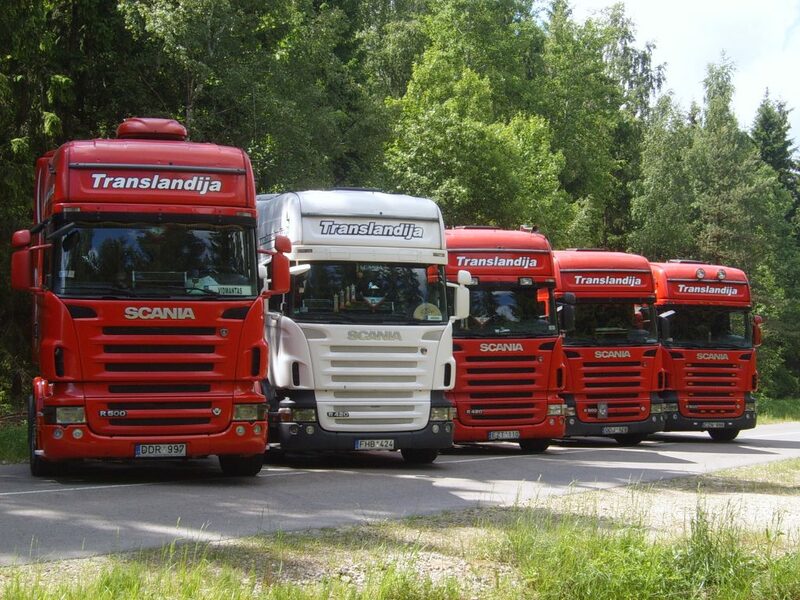 Cargo transportation is carried out by SCANIA Mega trailers with MEGA curtain side semi-trailers, with a length of 13.6 m, a width of 2.45 / 2.50 m, an internal height of -3 m, containing up to 34 euro palettes, 24 tones. Our trailers meet EURO – V, EURO – VI standards and are fully equipped with modern navigation, communication, mobile and other means and other means necessary to support communication. Our trailers are equipped with mobile road accounting applications, which allows offering our customer a higher quality, safer and faster cargo transportation service by motorways – highways. We are constantly looking for reliable customers in Lithuania and abroad, for long-term cooperation – for constant transportation of cargo between Germany, Holland, Belgium, France, Spain, Italy, Denmark, Sweden, Great Britain.